To state the supremely obvious, being on the ball and prepared for a photo shoot with a pregnant client is of the utmost importance. Now, I’m not saying that you can pull off other types of photo shoots while being unprepared, but to be unprepared for a pregnant client is about the worst thing you can do! Let’s face it - many aspects of pregnancy aren’t exactly fun. Your client will probably be tired, have aches and pains, and might not feel that fantastic about how she looks. Those are all challenges you need to help her overcome! Besides, it’s your job to make the mom-to-be look good, and you can’t possibly do that if you’re unprepared and winging it. With that in mind, consider these quick and easy tips that will help you prep your pregnant client for this most-important photo shoot. There’s something quaint about house calls that harken back to the 1940s and 1950s. It showed true customer service! 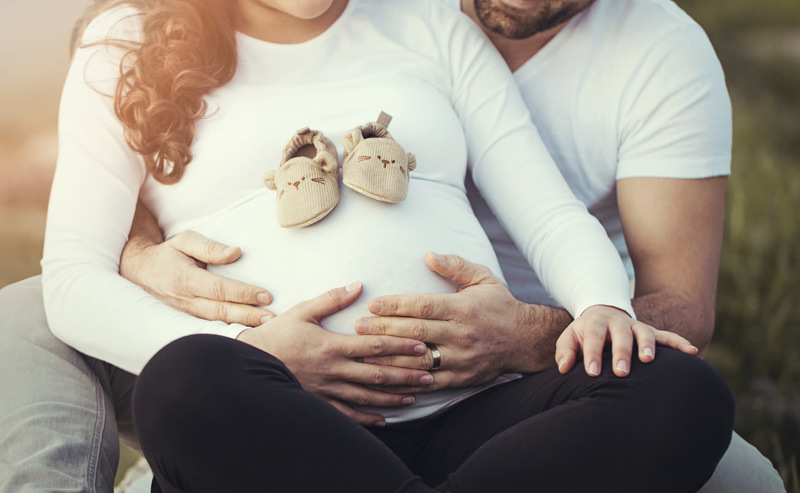 In today’s world, home visits are more difficult to pull off, but in the case of a pregnant client, it’s a nice touch that won’t go unnoticed. By going over the nitty gritty of the photo shoot - exploring pricing plans, suggested poses, when to have the photo shoot, and the like - from the comfort of your client’s home, she can rest, relax, and perhaps be more present with you as you work out the details. This is also an ideal opportunity to work out a time of day for the photo shoot. Remember to avoid early in the morning and late in the evening (especially after a work day) to avoid having a mom that’s worn out! In many cases, late morning or early afternoon might work best, though every client will be different. 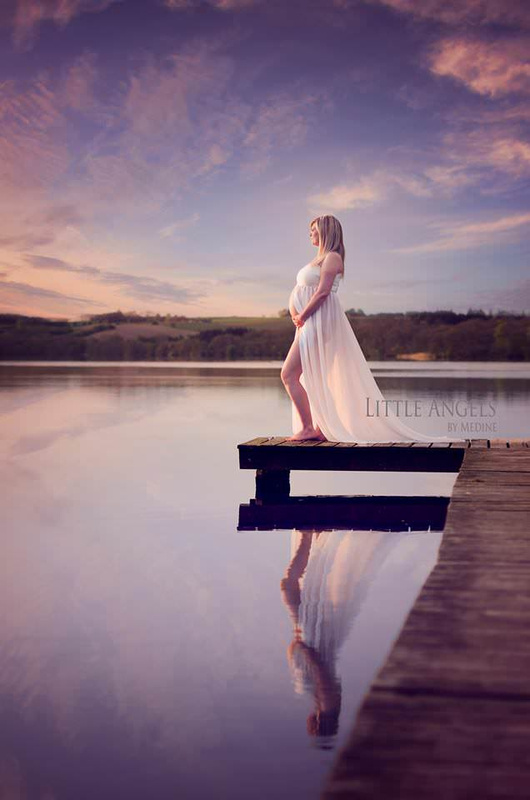 Additionally, if your client wants her maternity photos taken in her home, a home consult gives you a chance to scope out the surroundings so you don’t have to hurriedly do so on the day of the shoot. That means both you and your client will be more relaxed when the day of the shoot arrives. A home visit gives you an opportunity to meet any family members that will be part of the photo shoot as well, like a partner or child. Meeting them and building rapport before the photo shoot will only benefit the photos you take. With your client worrying about the important things in life - her home, her job, her growing baby - there’s a good chance that she’s not going to have time to remember all the small details of getting her portrait taken. But notice in the image above that the model’s hair and makeup aren’t overdone. When shooting maternity photos, erring toward a more natural, laid-back look will often pay dividends. Being prepared also means ensuring that she’s got everything she needs to stay comfortable during the photo shoot. For example, you might advise that she bring a pillow to place behind her back when seated, or to sit on for seated shots. Additionally, you might suggest that she brings a few props to include in the photo. Props can add color, texture, and even whimsy to a shot when used well. Note in the image above how the simple floral crown gives a little pop to the image without being visually overwhelming. Recommend she gets plenty of rest (as much as she can) to help avoid dark circles and bags under her eyes. Have her eat before the shoot so there’s no hunger pangs distracting her from the task at hand. Suggest that she bring snacks and water, just in case. It’s also a nice gesture if you have snacks, water, and pillows on hand in case she forgets these items herself. Of course, you can meet your clients at their home and give them all the preparation advice you want, but if your client isn’t ready with wardrobe selections that make her feel good and look good too, you other efforts could be for naught. Wardrobe is a crucial component of any portrait, but I’d argue that it’s an even more important element for maternity photography. You want your client to be comfortable, yet feel beautiful at the same time. That’s a hard balance to achieve for just about anyone, but particularly for expecting moms that have been uncomfortable for a long time! At the same time, choosing outfits that don’t compete with mom’s eyes, face, and belly bump is essential. The question is, how do you accomplish all those tasks? For me, you check all those boxes for comfort, style, and simplicity by suggesting a gown from Sew Trendy Accessories. 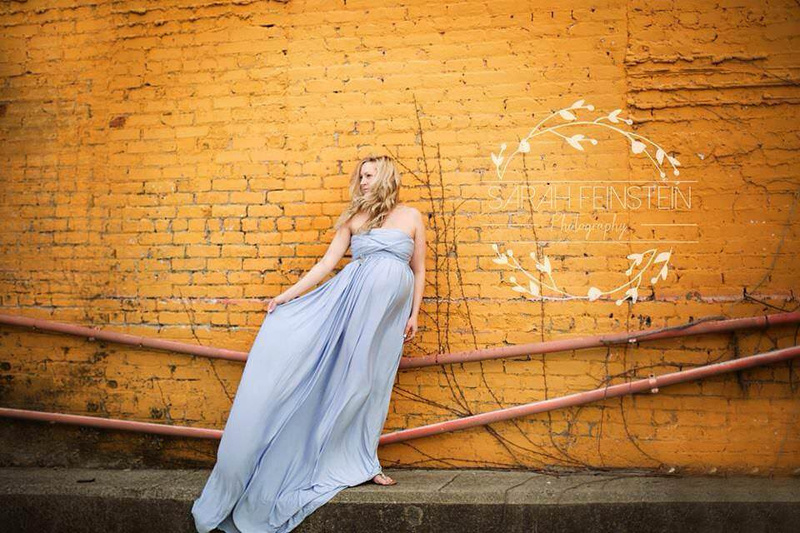 Sew Trendy specializes in creating gowns (and many other products) for expecting moms who have an upcoming photo shoot that run the gamut from full gowns like the one pictured above to simple skirts like that one seen below. Like you, Sew Trendy is dedicated to making mom look and feel her best by complimenting her figure with a gorgeous gown that’s simple and elegant, yet elevates the visual impact of the shot. With a wide selection of handmade gowns, Sew Trendy has a style and price point for any expecting mom. And with the gorgeous lines and textures that these gowns add to the photo, your images will have an extra level of sophistication that you can be proud of and which will make mom look like the beautiful woman that she is.